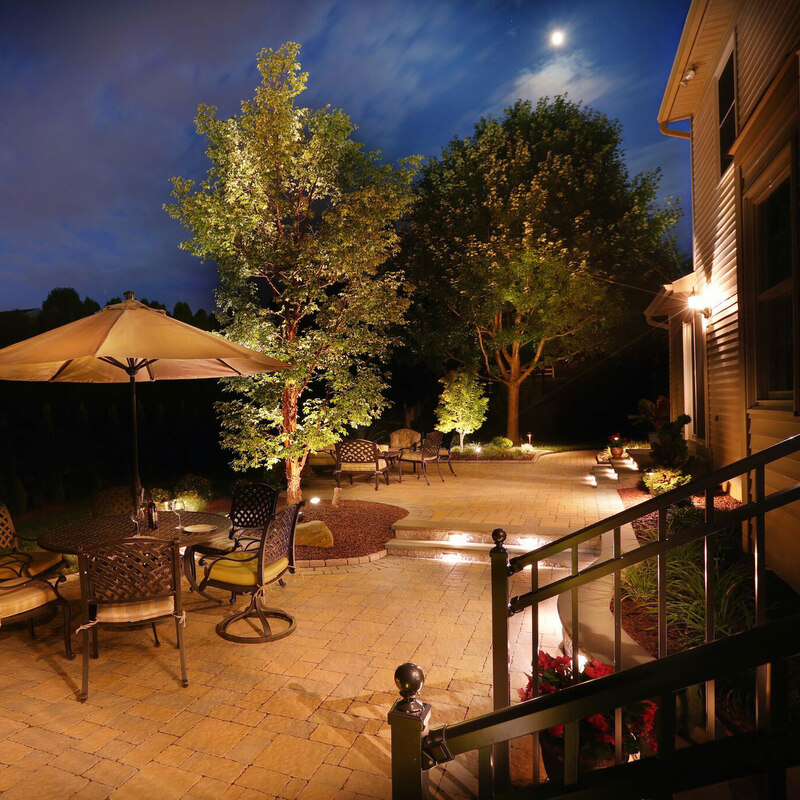 When you’re considering ideas for enhancing your landscaping, few natural elements add more life to a backyard landscape plan than moving water. The movement and the sound of water are music to the soul. 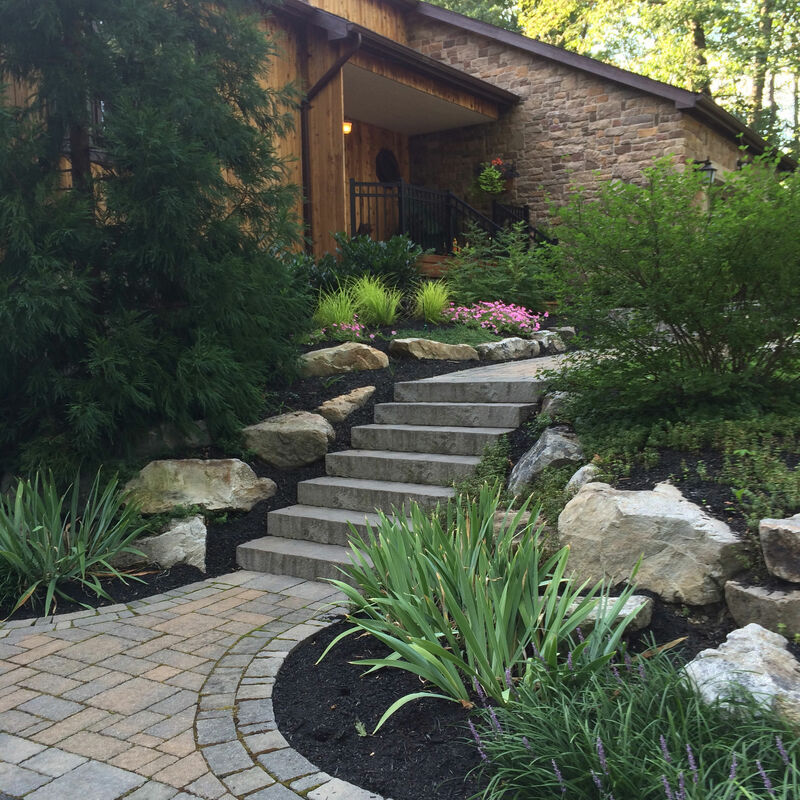 Whether it is a trickling fountain, babbling stream or a natural shear decent water fall, adding a water feature to your new or existing landscape will surely enhance your backyard experience. 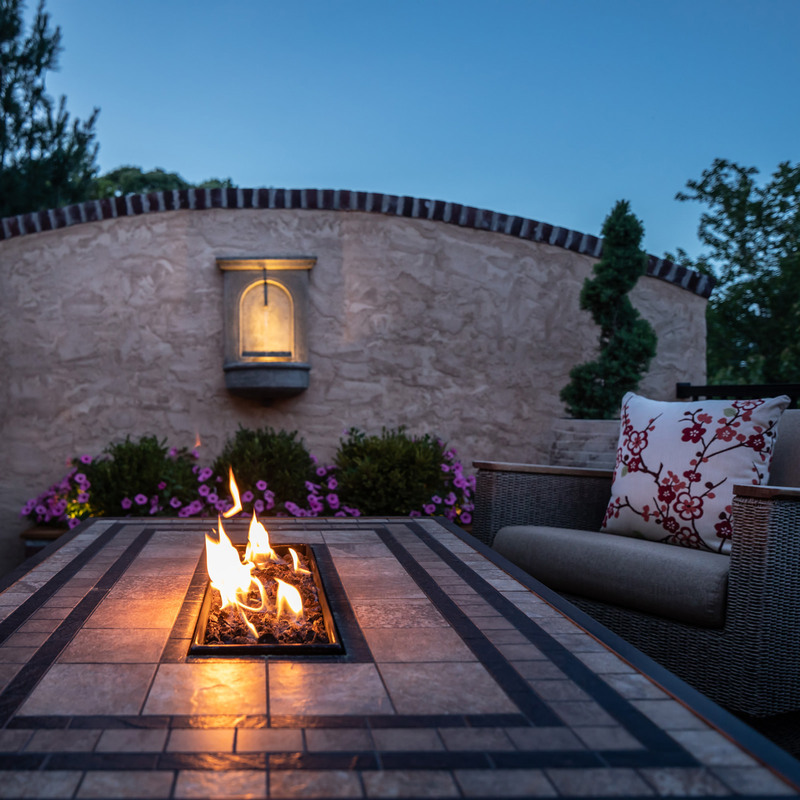 There are many different kinds of water features that can be built here in the Lehigh Valley. 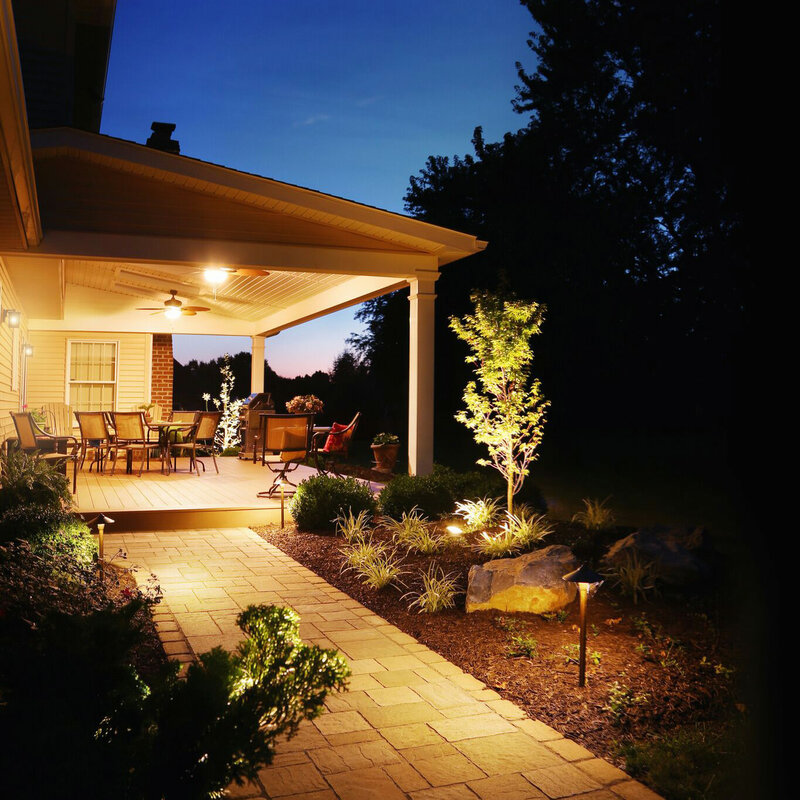 Selecting one should be easy, it will all depend on which features you would like to incorporate. 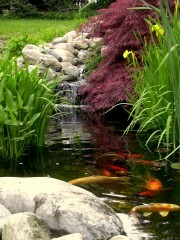 If you love to watch colorful fish swim around and unique aquatic plants grow and bloom perhaps a pond could be the ticket. If you are yearning for the sound of splashing water but are to busy to maintain a pond, then a pondless water feature would be a good fit. 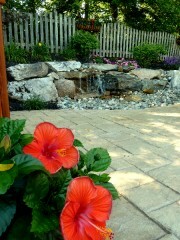 A pondless water feature is simply a waterfall or stream with no “pond” to collect the water. The “pond” is covered with stone so it is not visible which makes it safer if you have young kids or pets that frequent that area. 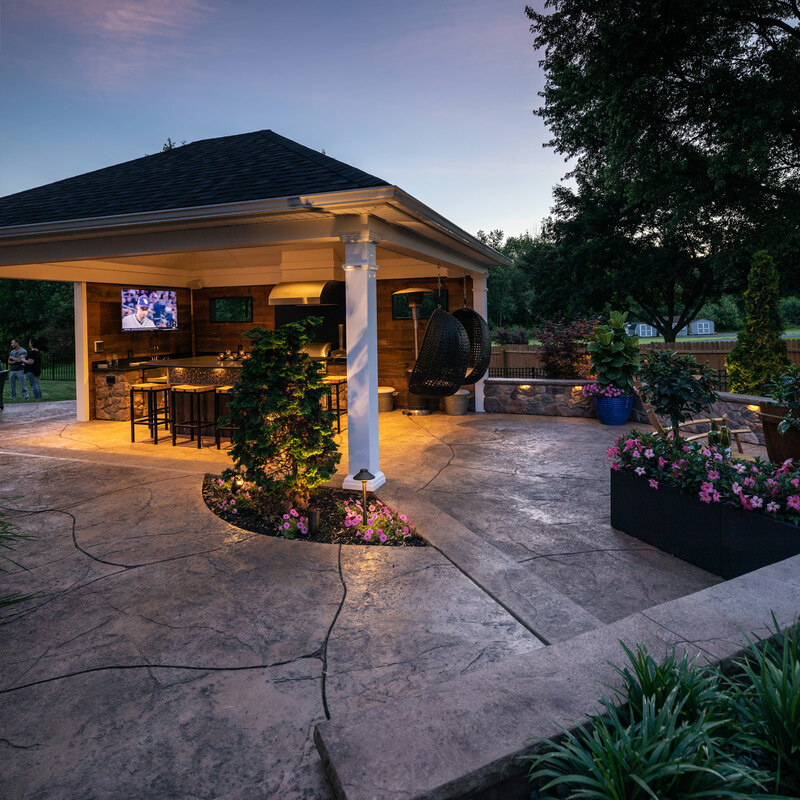 Regardless of your need or vision, MasterPLAN will design and then install a custom water feature that will not only fit seamlessly into your backyard space but that will also look like it has been there forever. 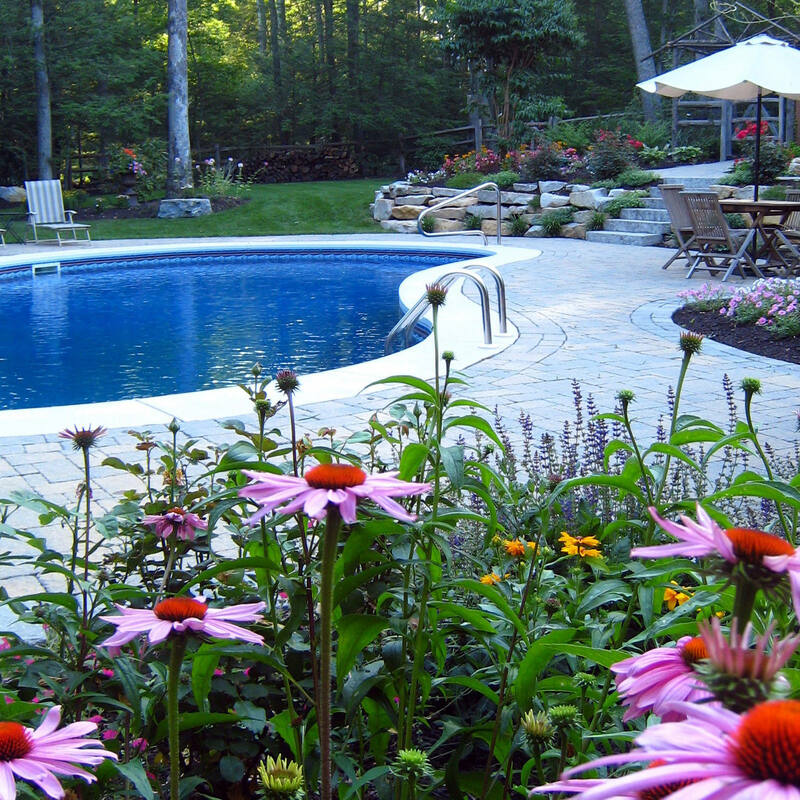 Whether you have a pond or pondless water feature and are replacing the pump or you are installing a brand new one, insist on an energy efficient pond pump. Having an energy efficient pond pump installed can lower your electric bill when compared to the traditional pond pump type. There are many different sizes and types of energy efficient pond pumps available on the market today. Rest assured that MasterPLAN is committed to helping the environment by installing these pumps into each of our new water features. It is our standard. 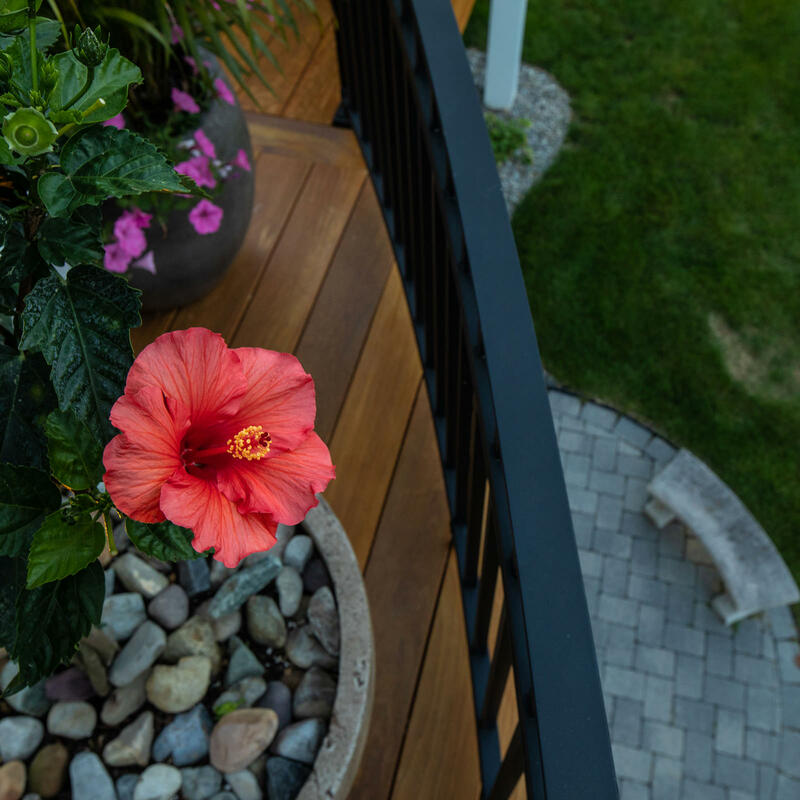 Here at MasterPLAN Landscape Design, it is our mission to educate our clients into making good informed long-term landscape decisions. 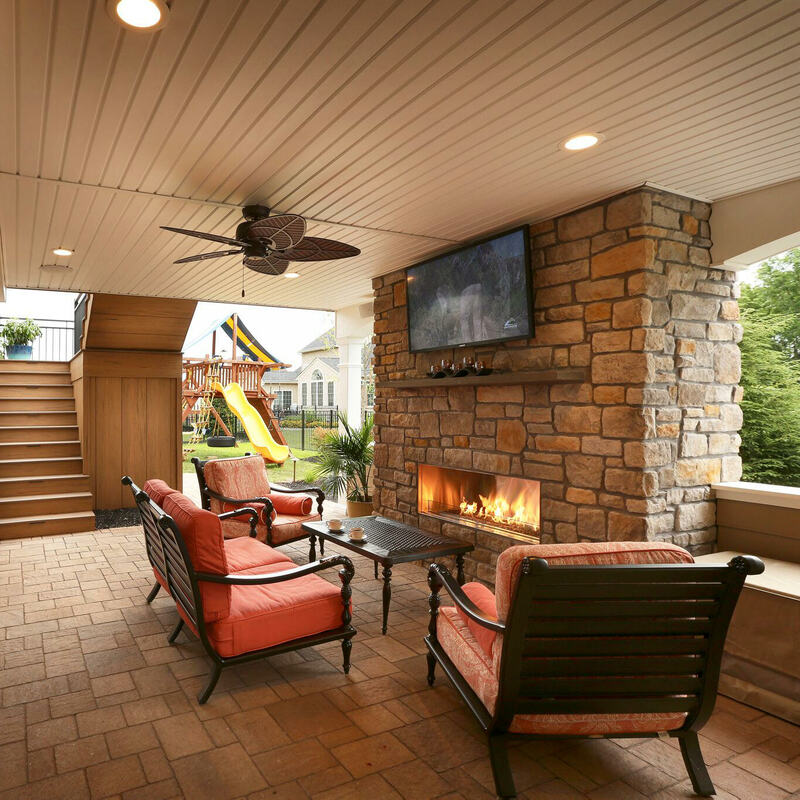 Call us today @ 610-628-2480 or click here to schedule your free design consultation. Click here to find out how MasterPLAN can help you. 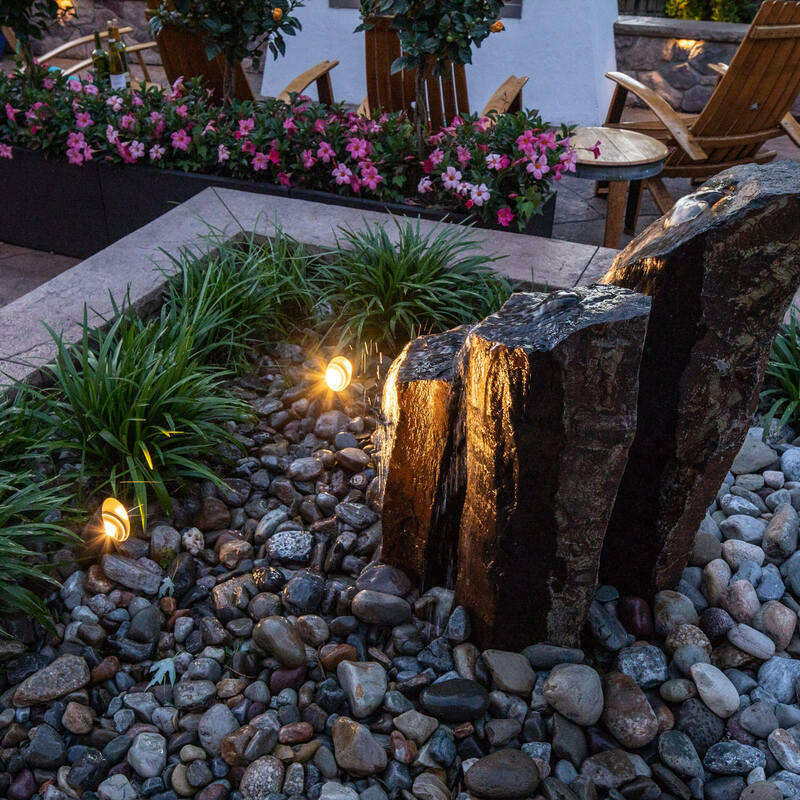 Beautiful within the landscape and soothing to the soul, natural basalt stone spires make the perfect water feature to accent any outdoor living space! 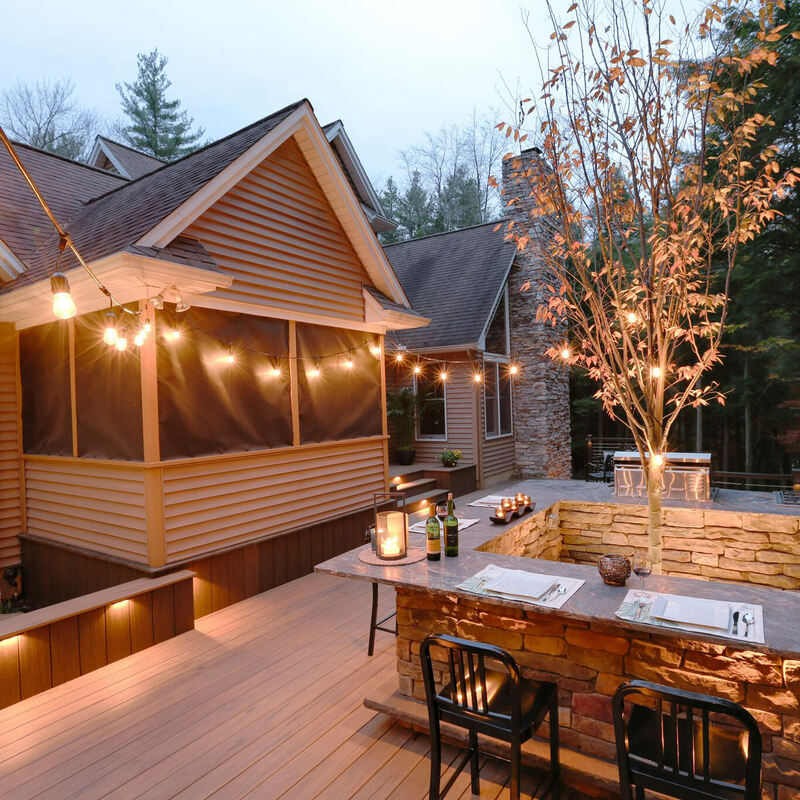 This pavilion protects the outdoor kitchen and allows the party to keep going at night, even in surprise weather!